"Learning before, during and after" is one of the oldest models in KM, and still one of the most useful. Learning before, during and after was one of the early bywords for Knowledge Management at BP in the 90s - a simple and memorable mantra that project staff can grasp easily and quickly. 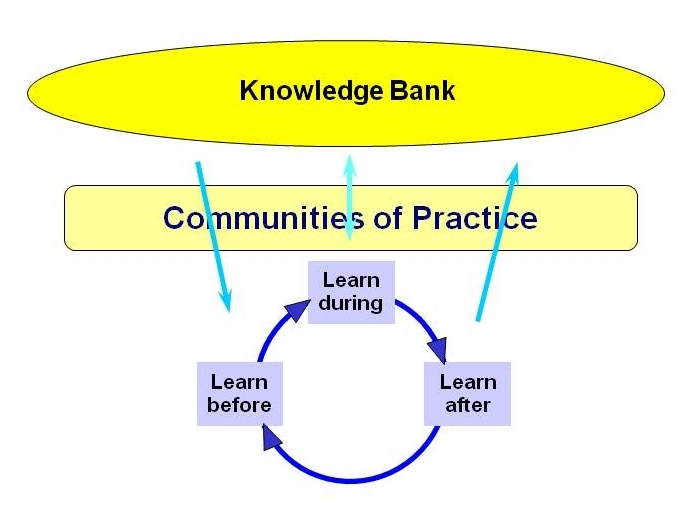 It forms the basis for an operating philosophy for KM, and describes how Knowledge Management activities can be embedded within the cycle of business activity. These activities of "Learning before," "Learning during" and "Learning after" can become an expectation, or even a mandatory activity, for projects. 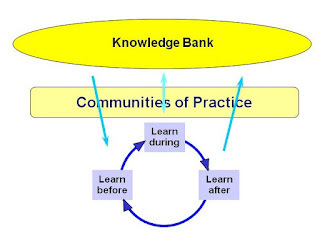 This model of ‘learn before, during and after’ was developed in BP during the 1990s, and was also developed independently in several other organizations. Shell refers to this as “Ask, Learn, Share”.